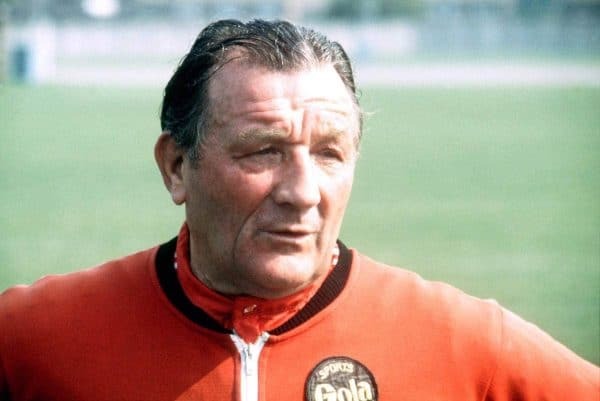 The late former Liverpool manager Bob Paisley will be remembered on Saturday afternoon, as the date of what would be his 100th birthday approaches. 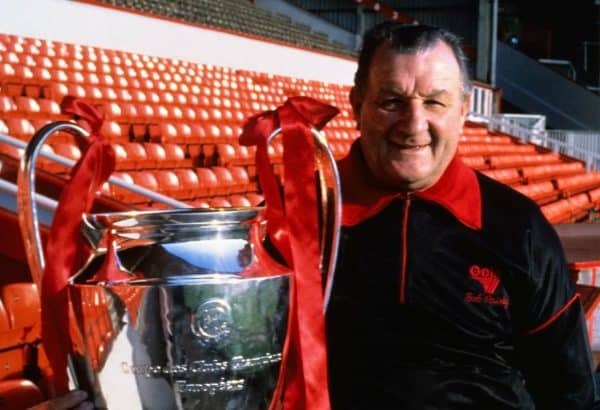 Paisley is one of the most influential and iconic figures in Reds history, following an unrivalled spell of managerial dominance at Anfield during the club’s glory years. He won three European Cups during his nine years in charge between 1974 and 1983, as well as six First Division titles. Paisley sadly passed away at the age of 77 back in 1996, but as his milestone birthday draws nearer – he was born on January 23, 1919 – Liverpool have revealed plans to commemorate the occasion. Saturday’s Premier League clash with Crystal Palace will see fans in the Kop create a mosaic before the match kicks off, with the words ‘Paisley 100’ on it. Volunteers are still being urged to help lay the pieces of the mosaic on Friday. A period of applause will take place to remember both Paisley and former winger Peter Thompson, who sadly passed away on New Year’s Eve. The Daily Mail‘s Ian Herbert has also confirmed that a gathering of Paisley’s former players will take to the turf at half-time, including Graeme Souness, while his family will also be in attendance. This will follow the occasion of when Bill Shankly’s 100th birthday was celebrated back in September 2013, when the Reds hosted rivals Man United. A mosaic was then, too, held up out of respect for the Scot, another legendary Anfield individual who laid the foundations for his former assistant Paisley to continue to build on. Anfield’s history is littered with influential Scottish characters, a trait which endures to this day with the Scotland national team captain, Andy Robertson, a key figure in the modern-day Liverpool team. The honouring of Paisley—which will also include an animated story of his life as well as the matchday programme feature—is a fitting tribute to Liverpool’s most successful manager of all time, as Liverpool aim to deliver a performance the ‘Quiet Genius’ would have been proud of. Read our interview with Liverpool’s mosaic creator Andrew Knott here.